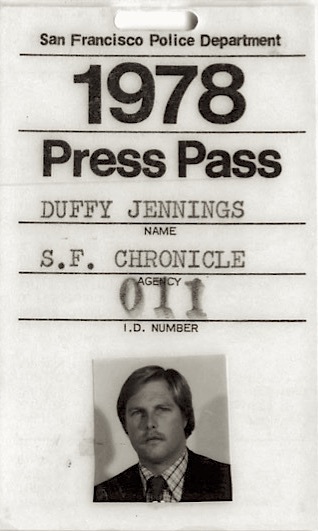 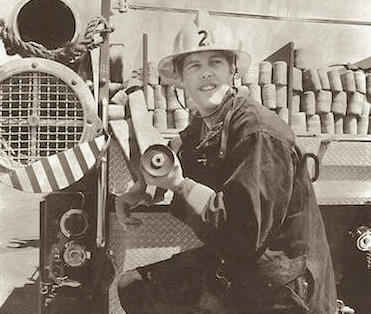 In Reporter’s Note Book, Duffy Jennings weaves the political, criminal, public, and personal events of the 1970s into a masterful reflection on the heart of a turbulent Bay Area. 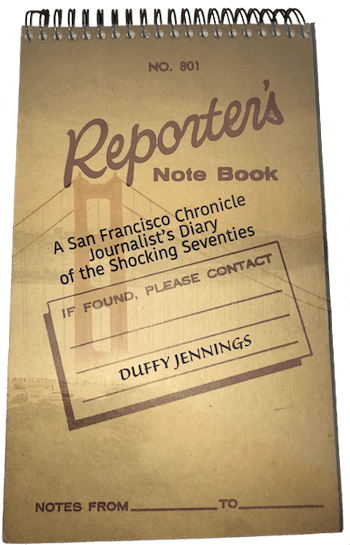 In this powerful narrative, Duffy paints a dramatic portrait of a time and place that is by turns exceptionally dramatic and poignant, all bolstered by his uncanny memory and tender wit. 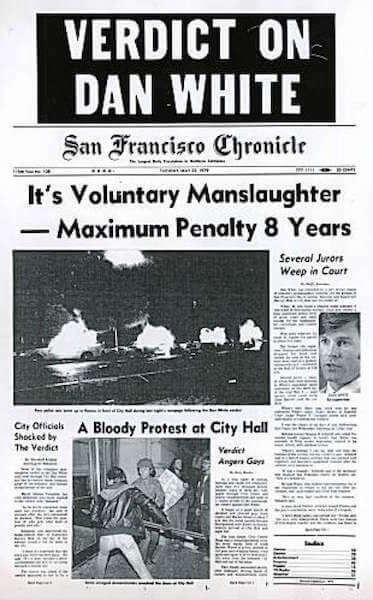 Among Duffy’s assignments: political assassinations, serial murders, major fires, gangland crime, labor union strife, city government news and more. 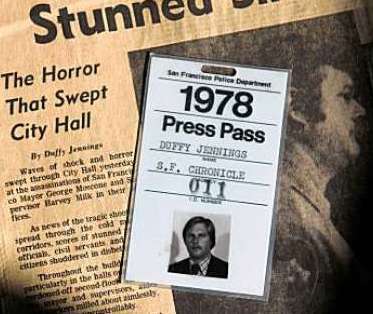 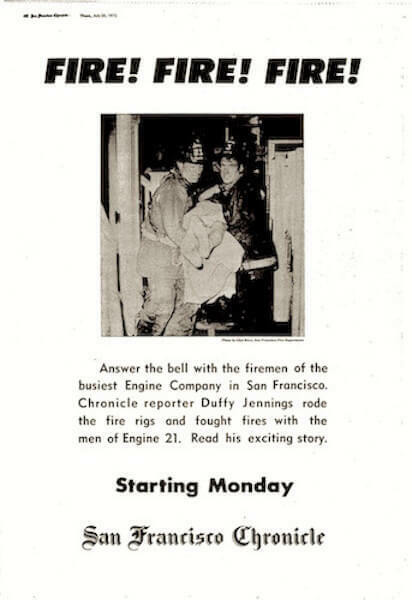 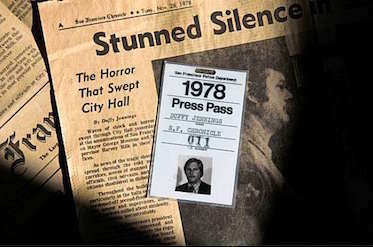 Duffy’s front page coverage included the 1978 city hall killings, the shocking trial of Dan White, the Zebra murders, the Patty Hearst kidnap, taunting letters from the Zodiac killer, and life as an embedded reporter with fire fighters and homicide detectives. 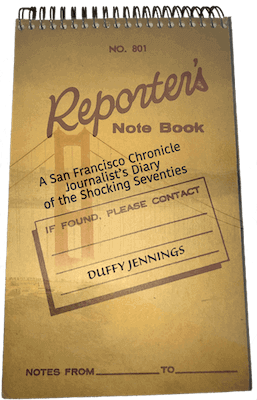 Grizzly Peak Press will publish Reporter’s Note Book on June 4, 2019.